Roberta Warshaw Art and Design: It is official! Molding Mania close ups, a photo by Roberta Warshaw on Flickr. It isn't like I can throw anything out. I need it all I tell you! All of it! Right down to the last piece of already popped bubble wrap. I keep buying plastic boxes at The Container Store, but hey, guess what? You need room for them too! Anyway, I have to figure out something soon. Sigh.............double sigh. I also thought I would share some experiments I did this weekend with inverting my stamp designs. They look so different. I was pretty surprised. They seem to have so much more substance. 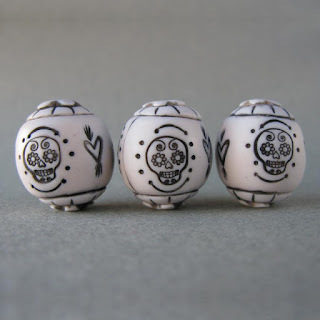 I am going to try doing some of this technique on my beads. Although you really can't do too much sanding on them or you will sand away the raised designs. But it is an interesting new direction to take. And I am all about new directions. 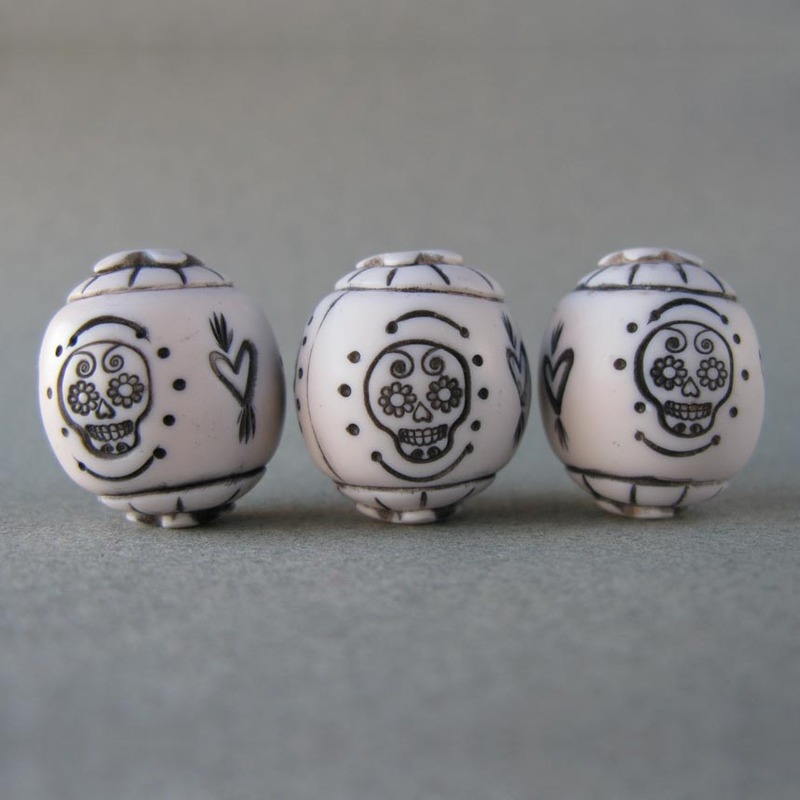 I was very excited this morning to wake up to the sale of my sugar skull beads. They have been getting lots of hearts ever since I listed them on Etsy. It is funny, I did it as a bit of a lark but everyone really liked them! I'll have to make some more! I like the inverted stamp designs. Does it make you want to get out your metal clay?! I can relate to having a huge collection of stuff, including bubble wrap. And to buying containers but realizing there's not much room for those! Your work is fantastic. And thank you for the tutorial! I got it through a Canadian friend. It will make my readers smile! Follow the Bouncing Ball! or I Am NOT a Bot!! !